I swam in the middle of a Chub Club, a school of Chubs at Aquarium Reef in Belize. Click here to learn all about it. 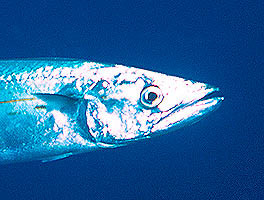 The Cero Mackerel is a large open-water fish that is a fast swimmer. 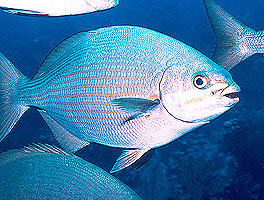 Click here to see this fish up close.